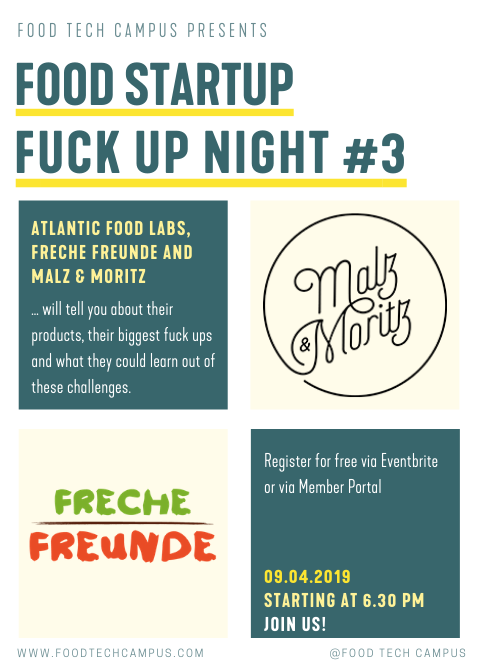 “We’re F*cked, It’s Over.” is Berlin’s food scene event for food entrepreneurs to share their professional failure. There are tons of things that can go wrong when trying to build a successful food company. Many lessons learned that should be shared, so you can make peace with it and your peers can learn. Come and join us to tell your story! And of course, listen and learn! Free drinks, finger food plus plenty of networking opportunities will be provided. Behind this event is Food Tech Campus hosted by EDEKA that strives to build services to make life easier for food founders in Germany.